We are proud to support Cleary University and their Annual Signature Event! Please help us support our local university by attending this wonderful event and supporting future students in our community! Join us for the Cleary University’s 4th Annual Vehicle to a Better Future Signature Event. This year will feature the same exciting theme and will test the culinary skills of local business leaders and C.E.O.s in a friendly competition to claim the coveted Cleary Culinary Cup. Key leaders and supporters will be paired with executive chefs and Cleary University seniors in a culinary battle – all focused on raising support for Cleary student success initiatives. Interested in sponsoring the event? Click here for our full Sponsor Menu! Our very own Joe Parker presenting Mark Schaffer (Owner of the Brighton Ice House and Kensington arena) a Cleary University “Hockey” jersey. Cleary University has signed a multi-year deal for Cleary University to play Collegiate hockey at the Kensington Arena. Cleary also introduced the Head Coach for both men and women’s teams. Cleary University and the Coaches are looking for and interviewing talent already. We would like to congratulate the entire town of Howell, Michigan for winning this prestigious award! This shows the hard work by the 2FOG's Pub team and many other local businesses and organizations that make this town a great place to eat, work and play in! Check out the video of 2FOG's Pub owner Joe Parker on WDIV Local 4 / ClickOnDetroit representing the Howell Downtown in the aftermath of Howell, Michigan winning this prestigious national award! Selected by a national jury of community development professionals and leaders in the fields of economic development and historic preservation, the award winners serve as exceptional models for comprehensive, preservation-based commercial district revitalization. The National Main Street Center recognized Howell Main Street’s achievement in transforming the downtown district into a cultural destination through community-driven economic development and placemaking efforts. The awards were made possible through support from U.S. Bank. This transformation is spearheaded by Howell Main Street Inc., in conjunction with the Downtown Development Authority. Despite a challenging regional economic environment, downtown Howell now has a vacancy rate of just 1.2 percent and is home to a diverse mix of businesses that foster a strong sense of place to attract and keep people downtown. In years past, downtown Howell was home to mostly professional services that filled a need, but failed to bring the kind of energy and enthusiasm needed to make downtown a place that drew people in and gave them a reason to stay. Through extensive engagement with local partners and the City, and strategic business recruitment, downtown now boasts a diverse mix of businesses featuring unique retail, dining establishments, and service industries. Anchored by entertaining destinations like the new local brewery Aberrant Ales, entrepreneurial attractions like the Frontal Lobe co-working space, and cultural institutions like the Howell Opera House and Howell Movie Theatre, downtown is once again a destination. The impact of the Main Street program, and its focus on deliberate, strategic investment in downtown is especially evident in Howell’s burgeoning arts scene. What began as a couple one-off initiatives to bring outdoor art to the district has become a transformative movement in the community. In the last three years alone, Howell Main Street has overseen the addition of murals in the downtown district, installed six new art-inspired bike racks, and raised over $30,000 for an alley transformation resulting in a pedestrian plaza and outdoor art gallery. Taken together, these efforts have transformed Howell from a quaint and charming historic bedroom community into a thriving downtown that draws thousands of students, young families, and retirees to arts and cultural celebrations year-round. “Being named a Great American Main Street Award winner is not the end for downtown Howell. While the staff, volunteers, and community partners have set-up a solid framework of success, we look forward to the Howell Main Street program continuing to push the envelope and lead positive and purposeful economic growth in our city,” states Howell resident and Outreach Coordinator, Kate Litwin. Valentine's Day is coming up quickly and we can't wait!!! We love any excuse to celebrate the love of family and friends, so grab your sweetheart and join us for a SPECIAL 2 Fog's Valentine's dinner!!! We would first like to wish you and your loved ones a Safe and Happy Holidays! 2FOG's Pub will be closed on the following dates so that our work family can enjoy the Holidays with their loved ones as well! 2017 People’s Choice Winner - Best Bar! Thank you to everyone who voted and made 2FOG's Pub the "Best Bar in Howell". We are so thankful and blessed! Check out all the winners on the Livingston Daily Website! 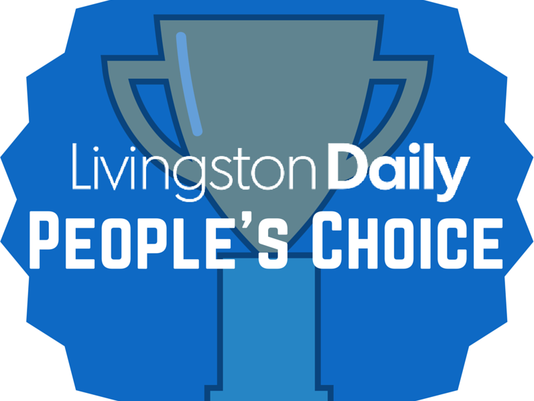 The Livingston Daily's Annual People's Choice Awards is happening right now. Voting is open through July 17th and we would be honored if you took the time to vote for 2FOG's Pub! Please follow the link below to vote today! Categories to vote: Best Burgers, Bar, Steak, Seafood, Breakfast and Dessert! The brew debuted at a special VIP event at 2Fogs Pub in Howell and will be on tap throughout the downtown beginning in April, including Cleary’s Pub and Howell Main Street Winery. For each beer sold, $1 goes to benefit Howell Main Street’s community-led, nonprofit organization, whose mission is to support a vibrant, strong and economically viable downtown, and promoting it as the heart and hub of the community. February 16, 2017 from 6 – 9 p.m.
Take a strolling tour of nearly 200 unique cars. This preview celebration of our annual Vehicle to a Better Future event thanks our supporters and connects the business community to the event. All proceeds support the Lingenfelter Collection and Cleary University student initiatives. C & B Machinery will be in attendance and we urge our customers, suppliers and friends to attend as well! Joe Parker - Howell Chamber Christmas Party Interview! Business owners and Howell investors Joe and Becky Parker are the 2016 Grand Marshals of the Fantasy of Lights Parade. The Fantasy of Lights is Friday, Nov. 25 in downtown Howell. The Grand Marshals are selected based on their contributions to the city. The Parkers own the Heart of Howell and Frontal Lobe in downtown Howell, and are know for their generous charitable contributions to an array of organizations. With the Heart of Howell, the Parkers have made a substantial investment in downtown. Joe Parker’s vision’s resulted in a multi-million dollar project that took three under-used-but-historic buildings, and combined them into one magnificent, multi-use facility. The idea for the investment started with the purchase of one building, but quickly escalated to three. Tenants include Your Peace of Mind on the top floor, SoulShine Yoga and the Loft on the second floor, Silverstone Jewelers and Encore 118 on the street level, and 2FOG’s Pub, owned by the Parkers and currently being expanded in the lower level. The Heart of Howell was recognized with an Architectural Investment Award at the 2015 Howell Area Chamber of Commerce annual dinner. The Frontal Lobe, located next to the Dairy Queen is the first coworking facility in the county and was also developed by the Parkers. The Parkers moved to Howell in 1989 and have raised their two daughters, Courtney and Brooke, here. Joe Parker found himself investing in business and real estate in and around Howell, but it was when his daughters convinced him to invest in downtown that the Parkers truly devoted themselves to the city’s growth. With Becky Parker’s absolute love of winter, the Fantasy of Lights Parade is one of her favorite holiday traditions. The Parkers are honored and thrilled to be the 2016 Grand Marshals, but are most excited to have their five grandchildren on the Grand Marshal float with them for the parade. The 33rd annual Fantasy of Lights is hosted by the Howell Area Chamber of Commerce Foundation. Activities begin at 4 p.m., followed by the Fantasy 5K at 6 and the start of the parade at 7. Major sponsor of the Fantasy of Lights is Cobb-Hall Insurance. Supporting sponsors are Citizens Insurance and Blue Care Network of Michigan. Champion Automotive Group is the Fantasy 5K Platinum Sponsor. Other sponsors include LOC Federal Credit Union, Christmas Alley; and St. Joseph Mercy Livingston Hospital, Santa and Reindeer. Livingston County has spoken! Thank you for making 2FOG's Pub the #1 Bar in Howell! There’s no secret knock or password required, and there’s no bouncer standing at the door. There’s no secret knock or password required, and there’s no bouncer standing at the door. There are no elaborate mechanisms that quickly turn the bar into a “living room” or an “art gallery” — but 2FOG’s Pub has that speakeasy feel. It’s literally underground, in the basement of three 1870’s era buildings, whose original brick and stone walls will take you back. Owner Joe Parker has successfully achieved his vision of a unique gathering spot in opening this establishment. Creative and innovative, 2FOG’s Pub embodies sophistication, with upscale sipping spirits, classic cocktails, small plates, and music from the ’20s, ’30s, and ’40s always gently playing in the background. 2FOG’s Pub offers an upscale yet comfortable ambience in Livingston County, and guests will feel like family as soon as they enter the space. When you walk through the alley and descend down into the basement, you may hear Dean Martin singing. And then — then, you will feel the magic of 2FOG’s Pub! 2FOG's Pub in Howell, MI is the best pub in Livingston County! Watch our new video to get an in depth look at our bar and all that it has to offer! ok, ok, ok...I will make a comment: I have been run over by comments and questions about how I feel about the new "Pig" in town! To be honest, I agree with a lot of the comments that have been posted on the Livingston Daily Facebook Page on this story. I am also humbled by the positive comments for 2FOG's Pub. Thank you all so much! We all know that Adam and his "group" have the right to do whatever, wherever. My plan is to continue to be creative in what we do. We are proud of Heart of Howell and very proud of 2FOG's Pub. In the last year, we have introduced many new things to Howell, creating many firsts for us and the community, and our plan is to continue to do so. Our Family is very supportive of our hometown and we appreciate the support we already have and know we will continue to get from the citizens of Howell and the surrounding communities. Howell, like any city, needs variety and diversification. Without that there is no real growth and definitely no sustainable growth. I hope the best for any and all businesses that come to, or are already in Howell, especially ones unique in their own way! Now that I have said that, let's continue to move forward to more interesting things and talk about our upcoming EXPANSION, EVENTS and DRINKS!!! !